2018 got off to a cracking start on Monday 5 February (gastronomicaly speaking) with the first Competition of the year, the National Competition for Cassola de Sant Blai in Torrent, a serious upgrade of what has to date been a local event. This competition was organised by the Gastronomic Association for the Cassola de San Blai, a newly created Association formed by the Town Hall, local restaurants and the Valencian restaurant and gastronomy guide ‘Comer en Valencia’ run by Antonio Serrano. This new association was created with a dual purpose, to consolidate this emblematic dish of the town and to make it available through professional training to all the restaurants in the area. Torrent is the capital town of the Horta West county although in reality it forms part of Valencia’s metropolitan area. Home to 80k residents it boasts a Moorish castle tower, now exhibition halls, which was once a Templar property and variously also a prison! century Armenian Bishop and physician martyred in 316AD by wool combs and beheading. He is the patron saint of woolcombers, gardeners (a garden rake is one of his symbols) and miracles in healing throat ailments are amongst his attributes. He is patron saint of several Valencian towns where culinary traditions associated with him abound. Apart from the Cassola at this time of year you will find ‘panets’ ( little bread rolls) which are blessed in the church and handed out around to local people, ‘rollets’ (ring biscuits sometimes flavoured with anis) and ‘Cristinas’, (a sweet brioche) in areas where he is the patron. The Cassola itself is like an ‘arroz al horno’ but has several specific differences which mark it out. The day before cooking the Cassola you have to make a ‘puchero’ on which we have reported before. The left over stock and de-boned meats (lamb, beef, chicken, jamon bones) are saved as this will form the basis of the cassola. The following day you make meatballs (pelotes) which are spiced with nutmeg, mixed spice and cinnamon , to individual taste. Tocino, pork rib, morcillas (black puddings) blanquet (white pudding) and chickpeas and rice are the other main ingredients to which are added the special ingredient, a sweet pelota (marzipan) made with bread crumbs, almonds, lemon zest, cinnamon, eggs and sugar. The meat scraps are fried with the ribs and the other ingredients and then the plate is assembled by adding the chickpeas and rice and arranging the sausages and savoury pelotas on top. The sweet pelota needs less time in the oven and is added halfway through the process. Emili Piera, (eminent journalist with Levante) was one of a professional jury which included top chefs, other gastronomic journalists and the Housewives association. He disclosed to us that it had been an extremely difficult task judging this competition, not just because of the number of contestants but because of the high quality of entries in this first edition. The concurso was also sponsored by a number of companies: Bocopa Bodegas who were represented by Eva Mittermuller provided the wine for the gala lunch; ‘Turia’, ‘Mascleta’ and ‘Valentium’ provided craft beers, ‘Carmeleta’ together with the Barmans association exhibited a range of aperitifs with their Vermuts, orange liqueur and some very good gin, ‘Tartana’ supplied the rice and a rice-based liqueur, ‘Extrem’ some excellent jamon and ‘ Les Perles’ the oysters from Valencia itself in the pre-gala reception amongst a range of other services. The Government was represented by Pilar Moncho who is charged with supporting and developing tourism and who is an enthusiastic supporter of these events. As with all of these events the gala lunch followed the concurso and the guests enjoyed entrants of Esgarraet, croquetas and a salad before the main course of Cassola de Sant Blai. The professionalism of the organisation of this competition and its success was exemplary, due in no small amount to the efforts and work of Antonio Serrano. To attract such a large group of chefs at such a high level with other chefs from the professional association in attendance supporting their colleagues (if not cooking) is testament to the desire to continually improve and promote the variety of Valencian gastronomy and in this the gastropress play a large part too…it is a pleasure for VÍvid to record the event for the English-speaking community and as a reference for English speaking tourists to be aware of more of what is available to them. 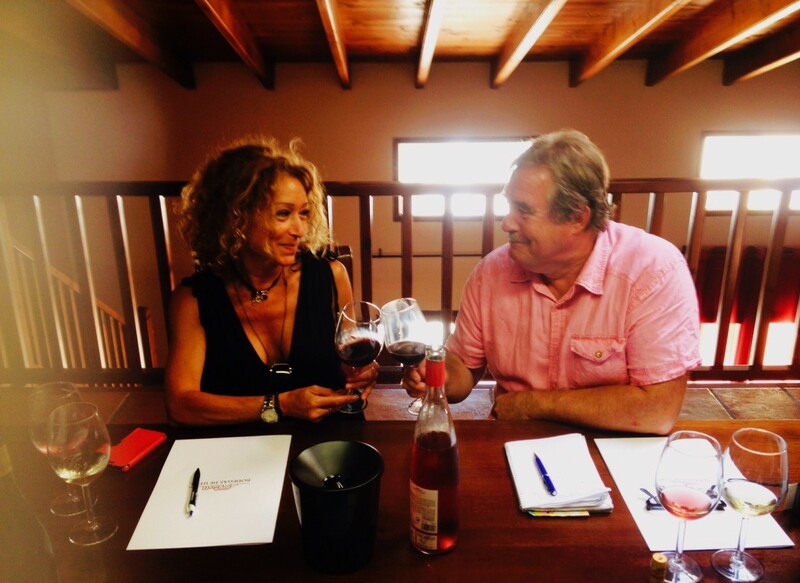 Previous Previous post: Bodegas Pigar, a passionate winemaker; VÍ Vid reports. Next Next post: Sabor a Málaga Visits Valencia,VÍVid Reports.